Friends, if you need a new custom closet system, look no further than the aisles of your local friendly Home Depot. Because Martha Stewart Living has created this functional, beautiful and easy to install closet system that is going to rock your messy closet world. But I did my best to add a system that would work for him / his habits. After a few weeks of Aiden living in the smallest room on this end of the house, we decided it was time to move him to the old master. Since he is the oldest kiddo around here, chances were high he would end up in this room anyway. So, up the hallway he went! Over the next few months I realized the closet wasn’t working well. I added the sliding closet doors back to all 4 bedrooms after the carpet was installed. But we all know how well sliding closet doors and kids co-exist = all bad. The closet system needed an upgrade and the doors had to come down. Enter my generous and kind friends at Martha Stewart Living. They reached out to ask if I was interested in trying Martha’s new closet system that is sold at The Home Depot. You know they didn’t have to ask twice…or wait more than 2 minutes for my enthusiastic “yes!” response! I knew exactly where a new closet system would make a huge impact….in Aiden’s room! Once I was on board for the job, the process was fun and easy! 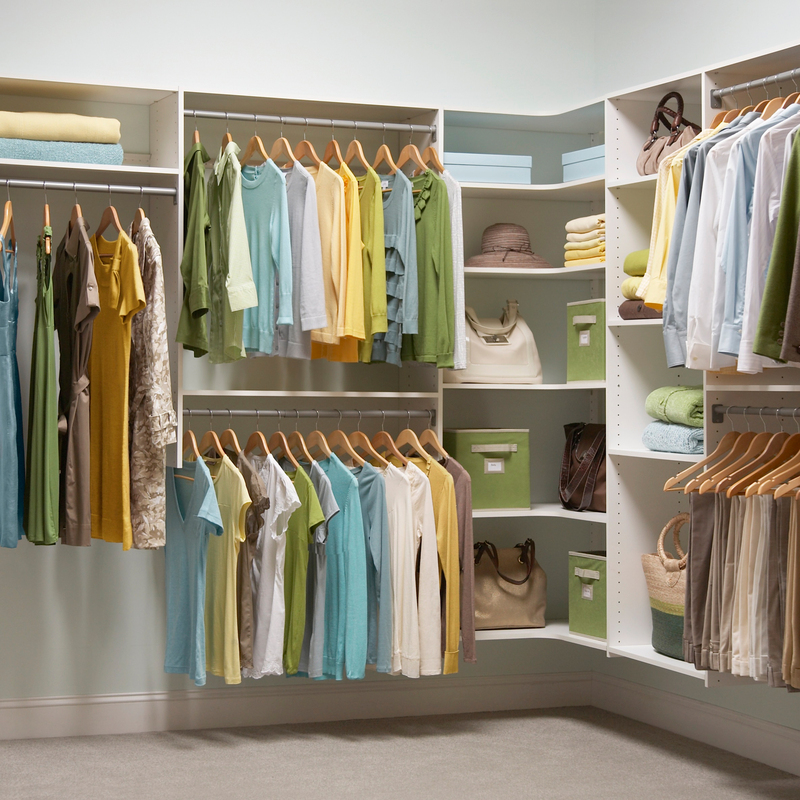 Martha has made it incredibly easy to design the closet of your dreams. 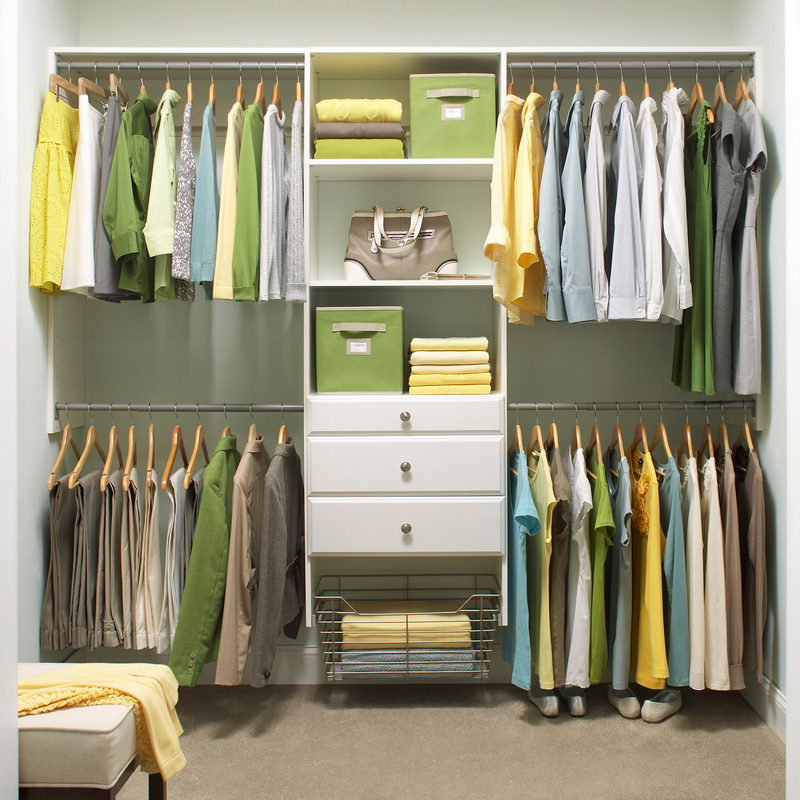 And don’t be fooled by the name; closet systems aren’t just for closets! The Martha Stewart Living at The Home Depot Closet System is versatile enough to be customized for any room in your home. Just choose a starter kit and customize it with components and accessories. All you do is use the online design tool, have the system delivered direct to you or buy it at your local Home Depot, then install. Done! From there you can play around with your design, choose a closet finish and more. Aiden didn’t need long hanging space, so I adjusted the design a bit, but not too much. All you need is a few tools – the instructions and screws are included for you! Did I mention he’s the athlete of the family? He also have a very colorful wardrobe! Oh, is that just me? Hummm, I see you petting the computer screen! A small selection of shoes is displayed on the closet floor along with his football pads and a laundry hamper, which is tucked away on the right side of the closet. Amazing transformation! And I’m not done yet. Over the next few weeks the rest of Aiden’s room is going to transform for the new school year…stay tuned for all of those details! It includes more building on my part, a new desk and a whole lot more! Can’t wait!! Thank you Martha Stewart Living and Home Depot for the opportunity to work with you on this project. This transformation would not have happened without you! Don’t miss out on The Home Depot’s Summer Home Organization Event that is going on now until August 17 and brings you the best prices on shelving units, boxes, moving supplies, totes, baskets and more. 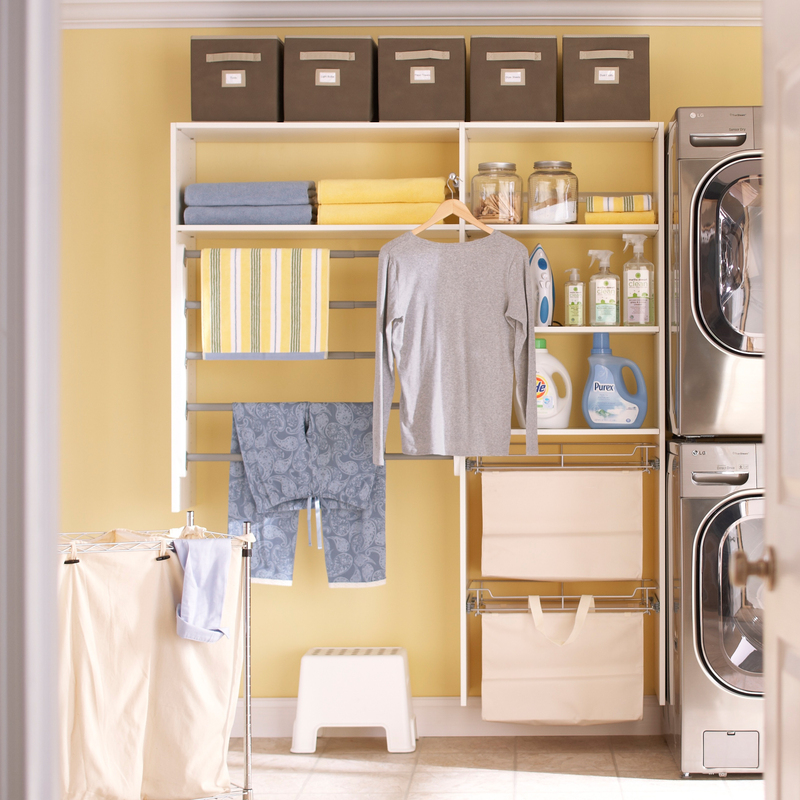 Organize your life with fantastic storage and organization ideas from The Home Depot. From your closet to your garage to your pantry, The Home Depot’s storage options simplify and streamline your living spaces. For those wondering about the wall color in this room, it’s Vapor Trails from Benjamin Moore. ** This product was provided by Martha Stewart Living at The Home Depot. This is amazing! I have considered adding some of this line to my current closet… I think you just tipped the scale! Love it!!! Amazing the difference…quick tip, maybe turn the shoes so the toe is facing out…seems to make a big difference in looks. Aiden probably won't care, but its the little things for us moms to enjoy! Either way, excellent job!! I love what you did and even more, I love the closet system itself. We have two in our moderate walk in closet with a huge builders bathroom mirror at the end framed out nicely. It's amazing all filled in and the add-ons are very neat. Well done. It looks lovely! I love the way you put his name on top of the closet too! I love love love LOVE this! Our only child is an 8 month old, but her closet already overwhelms me BIG TIME! We're fixing to move into a new house, and I'm definitely pinning this post and adding it to my "new house to-do" list. Thanks for posting!! Looks great. Can I ask where he keeps his pants and shorts, or did I overlook that aspect? Looking to upgrade my 9 yr olds closet. Thank you! His everyday pants and shorts are in the drawers. His nice dress pants are hanging. This is a great option for a child’s closet…you can see the entire set of options at Home Depot, pretty sure she has a display there. However, if you’re on a budget, the other day I updated a closet using closet maid components from Target and it’s amazing! We can’t believe how much it changed the space. I’ll be sharing the closet soon here on the blog! Looks beautiful! I’ve been trying to find a solution for nursery closet as we don’t have room for any dressers in the room! Could you please tell me which size of the drawers you bought to go with the system?? It comes with 1 shallow drawer and 2 deeper drawers. You can create your own closet on the site link I shared above!